Garrett is graduating from preschool on Monday. My little baby is no longer a little baby. 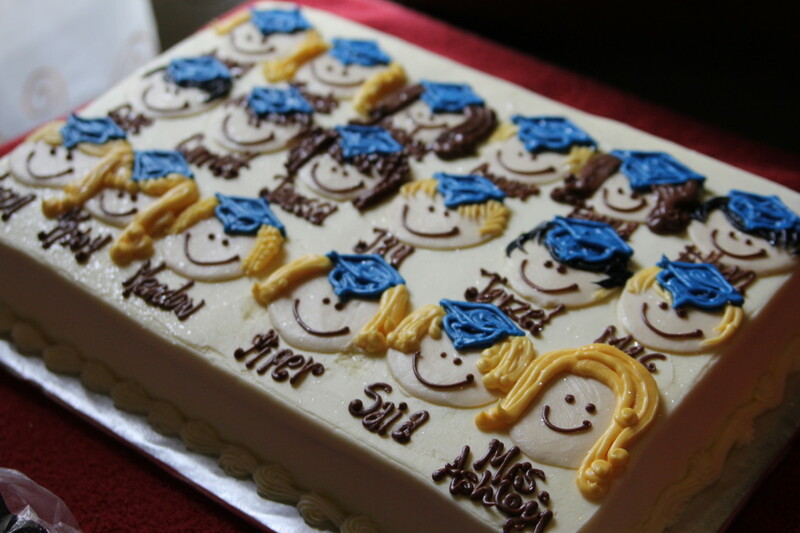 But, before this turns into a sap-fest, let me show you the cutest graduation cake idea, ever! I cannot take credit for this idea. 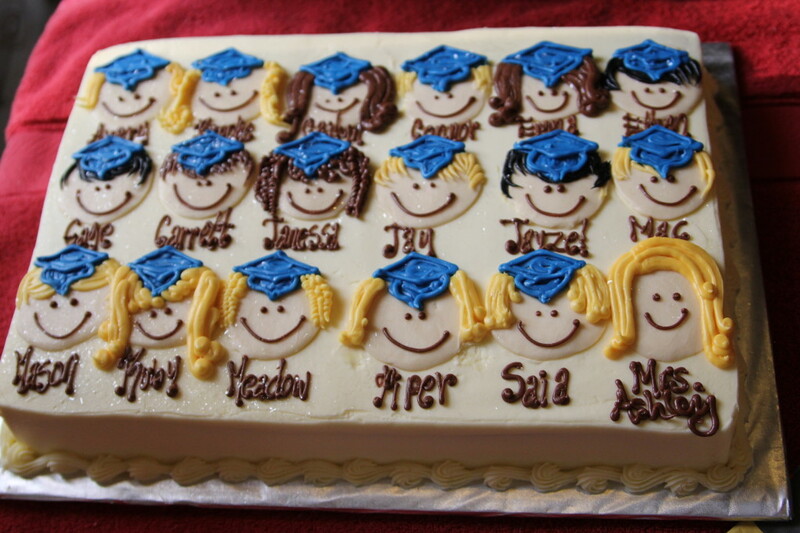 I saw this idea over on Dukes & Duchesses’ blog, and I knew it was the perfect cake for our preschool graduation party! I gave the bakery a class picture so they could see hair color, along with a list of their names and this 1/2 sheet cake was absolute confection perfection. Garrett, of course, wanted to eat himself, but none of the others cared as much. 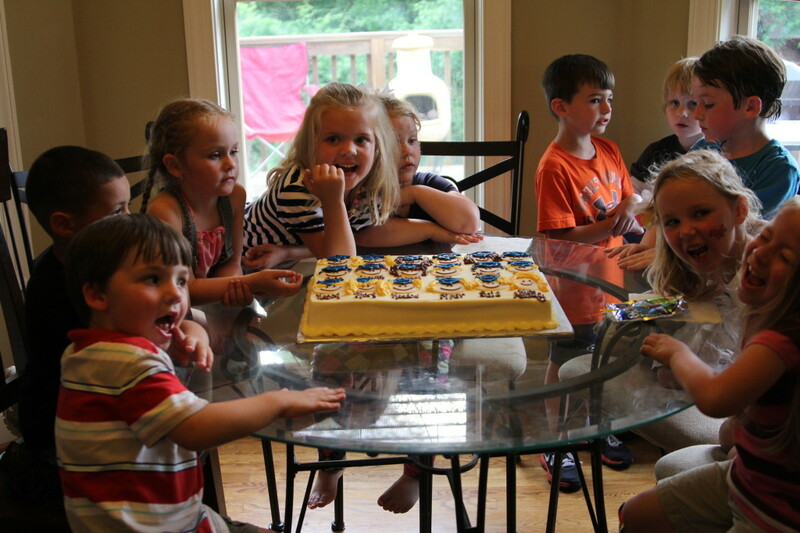 They did love seeing all of their names on a cake, though! It was a fun day. I’m sure gonna miss these cuties. Happy Graduation, little peeps!